The first thing that caught my eye on the program flyer for the Danish Institute for Study Abroad (DIS) was in the housing section of the flyer where it said one could live in a folkehojskole (or folk high school) “a distinctly Danish rural educational institution for young Danes.” To me, this sounded amazing. I investigated the program further, and eventually decided that this was the place for me (between the folk high school housing option and the opportunity to get a number of classes for my Sociology major including a class called Migration and Conflict which took a week long study tour to Istanbul and a class called Holocaust and Genocide that took a weekend trip to visit a concentration camp near Hamburg, as well as the opportunity to volunteer while abroad). I was delighted to get accepted into the program, and as soon as DIS housing opened online, I applied to be put in one of the three folk high schools that were offered. This was in March, but I did not find out until the summer which housing option I actually got. I was told that I signed up early enough that it was likely that I got my first choice. 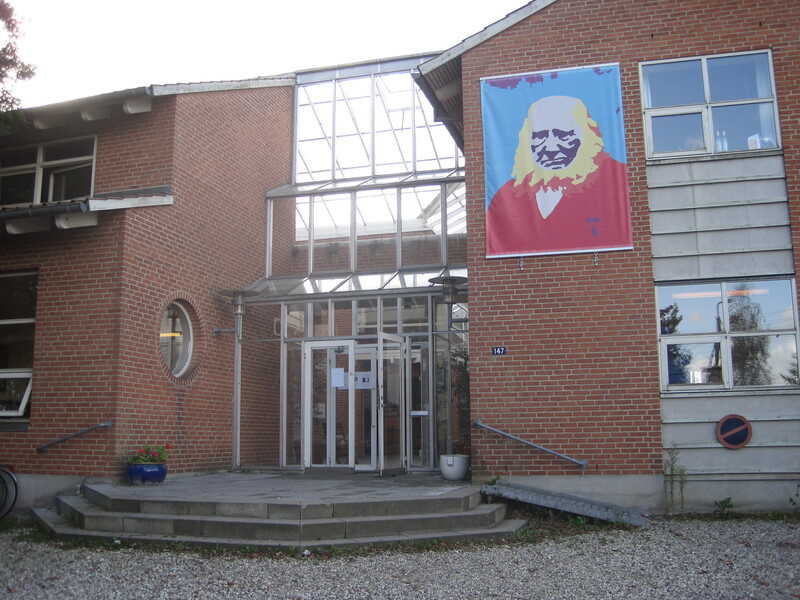 In the meantime, I started researching all the different folk high schools that were offered: Grundtvigs and Krogerup (which are both Danish folk high schools) and The International People’s College (which is a folk high school for international students). 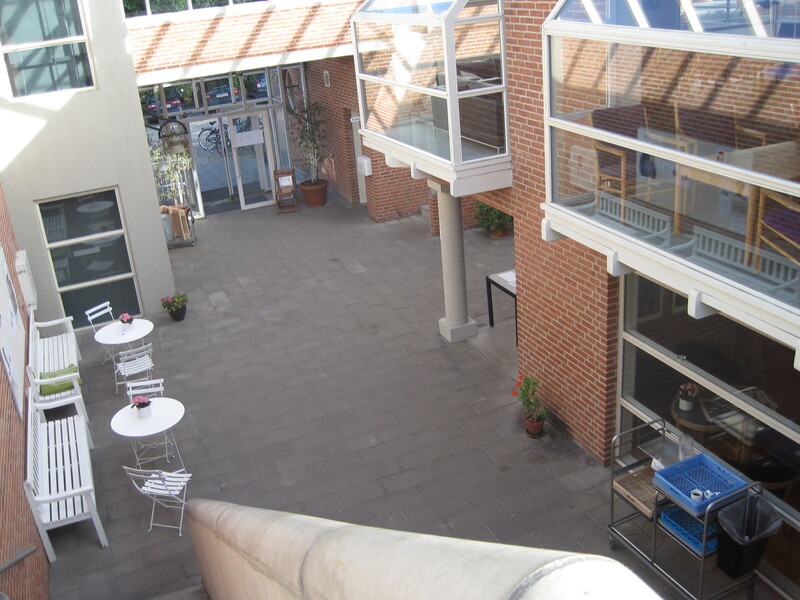 I found the most information about Grundtvigs folk high school, which was supposed to have weekly costume parties with both Americans and Danes, and the building almost looked like a greenhouse. I even found one video from past Danes who had lived there, and even though it was all in Danish, the video and photos that were shown just made it look like such a blast! In the summer before I left, I found out that I was going to live in Grundtvigs folk high school! I was worried that I had built it up too much in my mind and that the reality could not be as good, but I ended up having a fantastic time there! We did have themed parties each week, ranging from Pirate Party to Jersey Shore to Gangsters and Dinosaurs (the last of which was a little hard to dress for). I got to eat dinner with Danish people my own age each night, and see what kinds of things they were interested in doing with their free time. I also got to go to cultural events within the folk high school including concerts, talent shows, plays, and photo exhibits presented by the Danish students. I later found out that many of the American students at my school were too intimidated by the sound of the folk high school housing option to choose it, and ended up settling for something less intimidating such as a dorm. While home stays and Danish roommates were two other housing options at DIS that were perhaps equally immersive as my folk high school option, I would definitely recommend to future students going abroad to choose an immersive housing option when it is available. It made my own experience so much more rewarding! 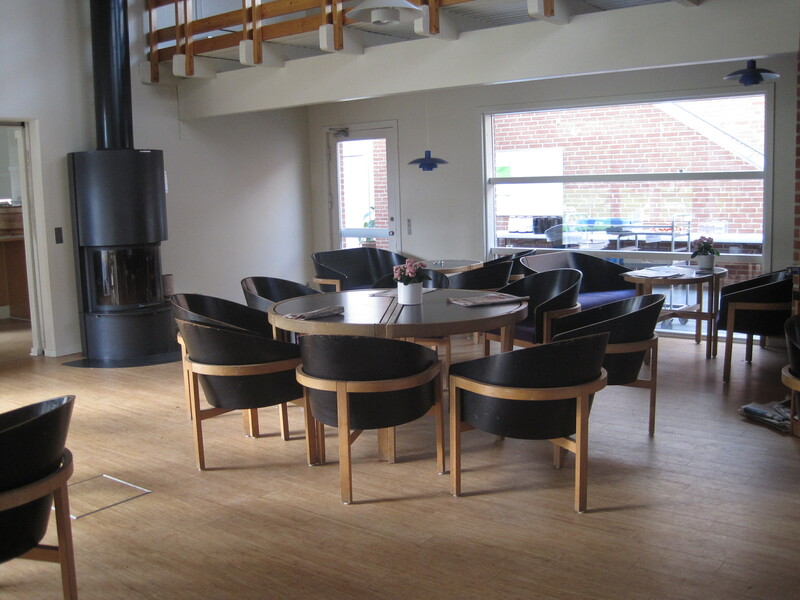 All of the photos are mine: showing the outside of my folk high school, the common area/lounge, and the main interior hallway.